UPDATE: New details have been provided by the White Marsh Volunteer Fire Company. The operator of the motorcycle that was struck was traveling from Philadelphia Rd toward Pulaski Highway and was struck by the lowering gate arm at the CSX rail crossing. The operator was ejected from the motorcycle, with both rider and bike coming to a stop on the tracks with a train approaching. Another motorcyclist saw the incident occur and quickly removed the injured rider from the tracks. The motorcycle that crashed was then struck by the CSX train. The first motorcycle operator was assessed and transported to a trauma center for non-life threatening injuries. CSX Police responded to investigate. 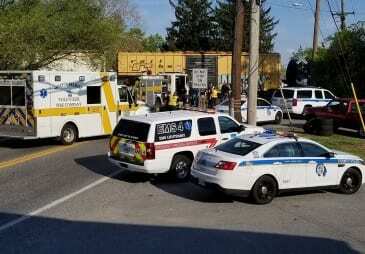 Emergency personnel are responding to an Tuesday afternoon incident involving a train in White Marsh. 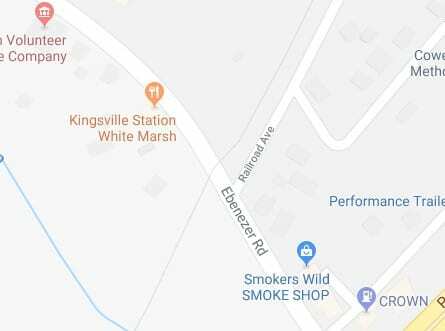 Early reports indicate that, at just after 5:30 p.m., a train hit a motorcycle near the CSX crossing along Ebenezer Road at Pulaski Highway (21162). The motorcycle operator reportedly suffered minor injuries after jumping from the motorcycle prior to being struck by the train. The train has stopped at the scene. Ebenezer Road is currently shut down between Philadelphia Road and Route 40.